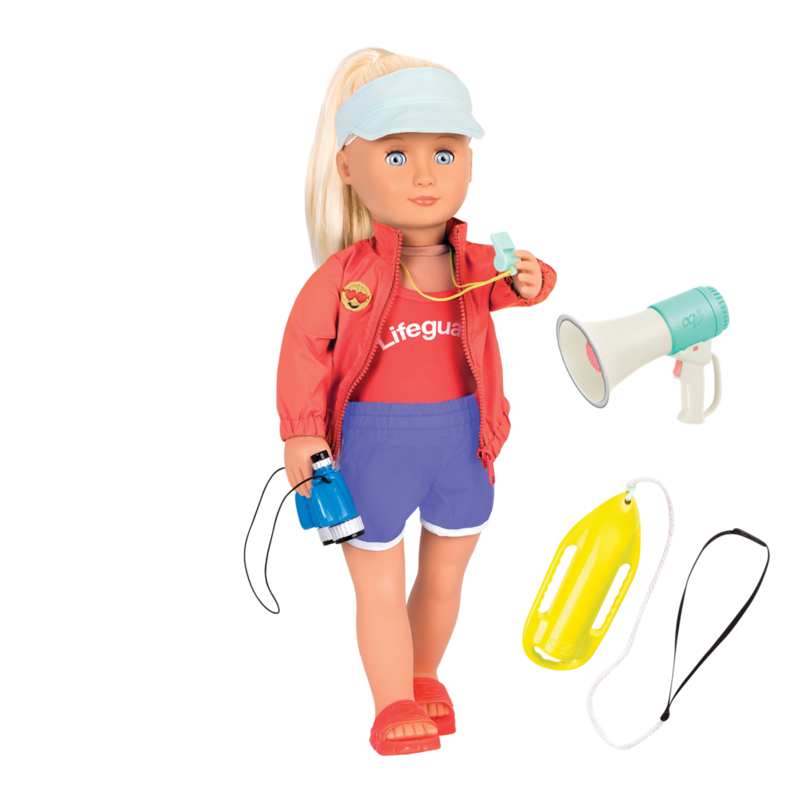 Make waves with this 18-inch lifeguard doll! Sun, waves and sand – this is the life for me! 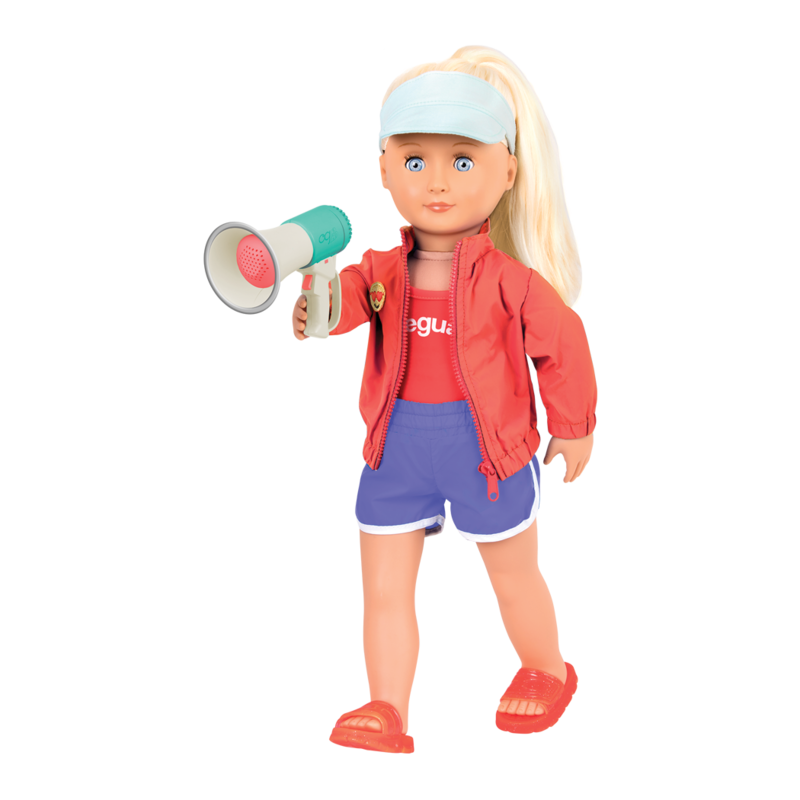 Life on the beach is awesome with Our Generation Regular 18-inch Professional Lifeguard Doll – Seabrook, a beautiful 18-inch doll with long, straight blonde hair and unique pale blue eyes. Seabrook is living her dream of being a lifeguard! 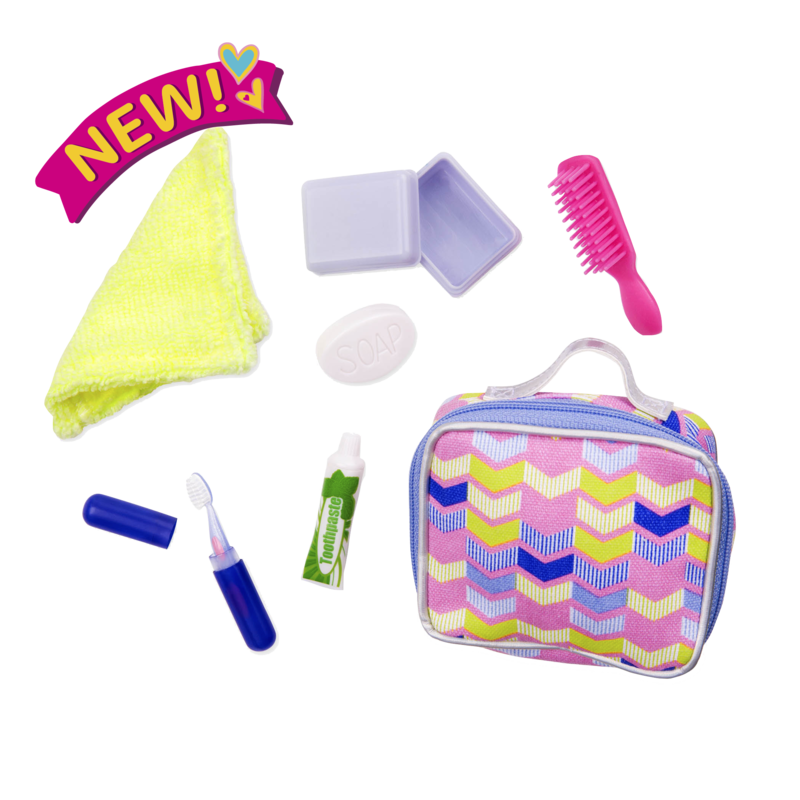 Lifeguard Accessories for 18-inch Dolls! Guarding lives and having fun! Seabrook is a non-posable doll whose neck, shoulders, and hips rotate so she can be positioned in many different ways! She is ready to go on patrol in her lifeguard uniform featuring a one-piece lifeguard bathing suit, shorts, a windbreaker jacket, sun visor, and sandals. Help her keep an eye on the beach and make sure no one is in danger with the binoculars and megaphone. 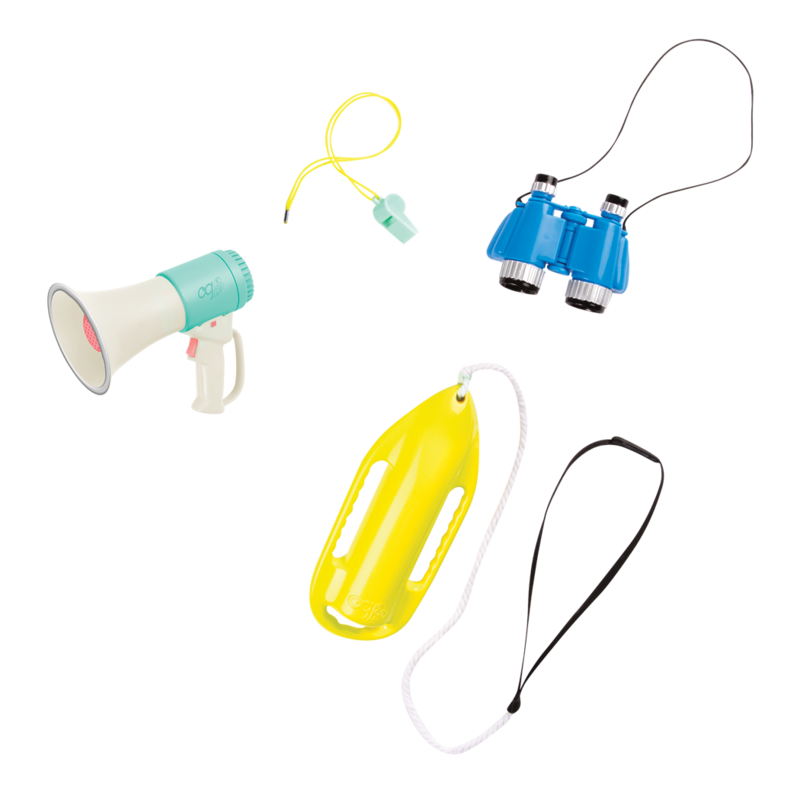 If she spots trouble, she can sound the alarm using her whistle or the megaphone – it really works! Seabreeze will do everything she can to keep the beaches safe and fun for everyone! Every lifeguard needs a nice, tall chair to sit on so that they can see all the way to the ends of the beach! 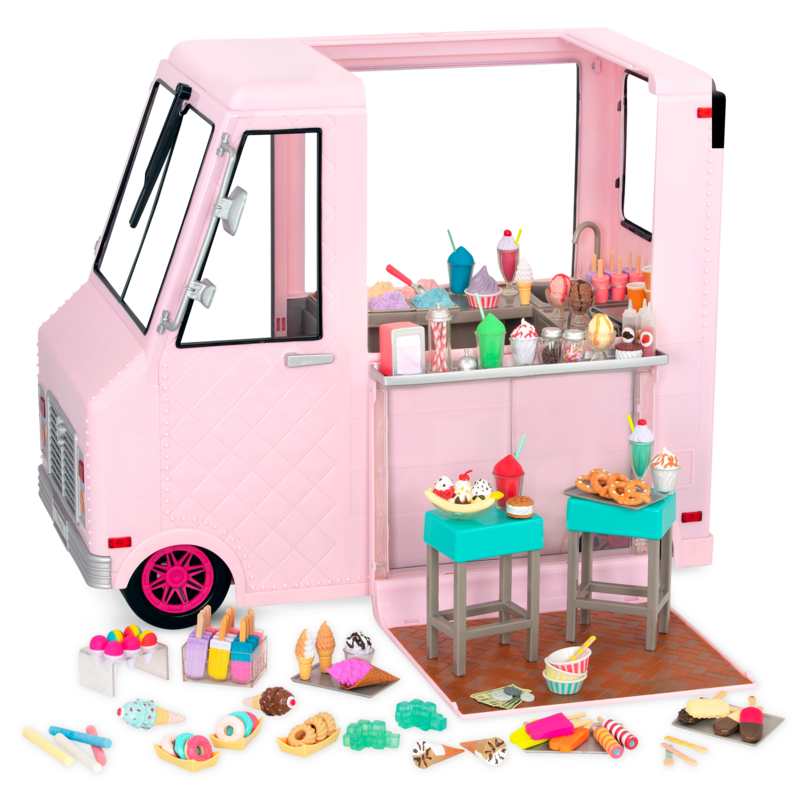 Check out the Lifeguard Playset, the perfect accessory set for Seabreeze to keep watch over the shore featuring a lifeguard chair and all kinds of great lifeguard accessories! Help Seabreeze travel up and down the coast (and maybe catch a few waves on the way!) with the OG Off-Roader, a great 4×4 vehicle that has a working radio and even a surfboard! When Seabreeze isn’t busy being a lifeguard, she likes to do yoga! Dress her in the Ommm My Way yoga outfit so she can stretch her way to inner peace! 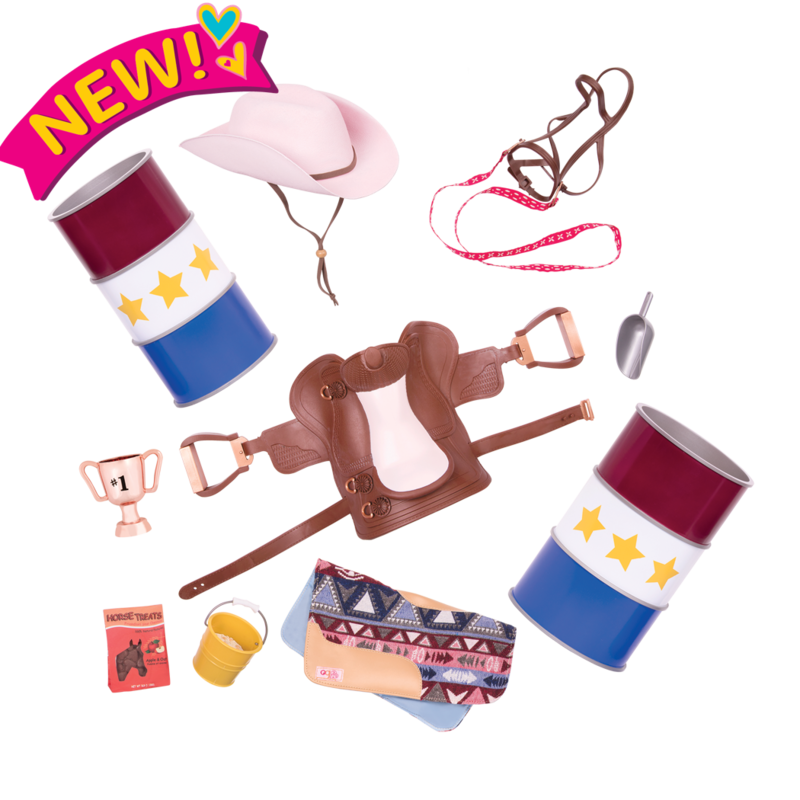 Includes lifeguard uniform with bathing suit, life preserver, and more! Seabrook arrives with her hair in a ponytail, but you can style her hair in a lot of different ways! When you first undo Seabrook's ponytail, her hair might be a little kinked from staying in one style for so long as she made her journey to you. Next, use the wire brush and very gently but firmly brush Seabrook's hair, starting at the ends and working your way up. Let her hair air-dry, and repeat this process until her hair is as straight as you like it!